MOSCOW, Russia -- Russian opposition activists want to reveal Russian military involvement in Ukraine. 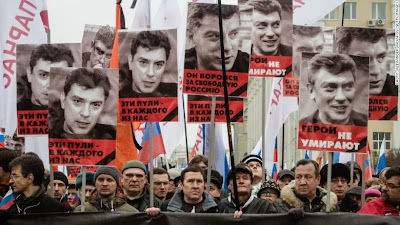 Outspoken Kremlin critic Boris Nemtsov was murdered in March. They're raising money to distribute a report that allegedly proves that claim. But PayPal has blocked their account. On Friday, PayPal confirmed it made the move to block the funds. In a statement to CNNMoney, the company portrayed it as a calculated business decision. PayPal blamed overbearing Russian regulation -- and an inability to track who's actually giving money. "PayPal Russia does not currently allow any political parties or political causes in Russia to receive donations due to the complexity of complying with local rules which require validating the identity of donors," the company said. "We regret any disappointment this may cause our customers." Critics argue that PayPal is actually trying to avoid diplomatic problems in Russia. At issue here is a report that claims proof that Russian troops are indeed invading Ukraine -- even though Moscow has denied any involvement in the conflict. The Russian government continues to say any Russian citizens fighting in Ukraine are actually volunteers. The 65-page report, titled "Putin - War," says at least 220 active Russian soldiers have died while fighting in Ukraine. The report is based on materials gathered by Boris Netmsov, a major populist figure in Russia who was murdered in Moscow in March. 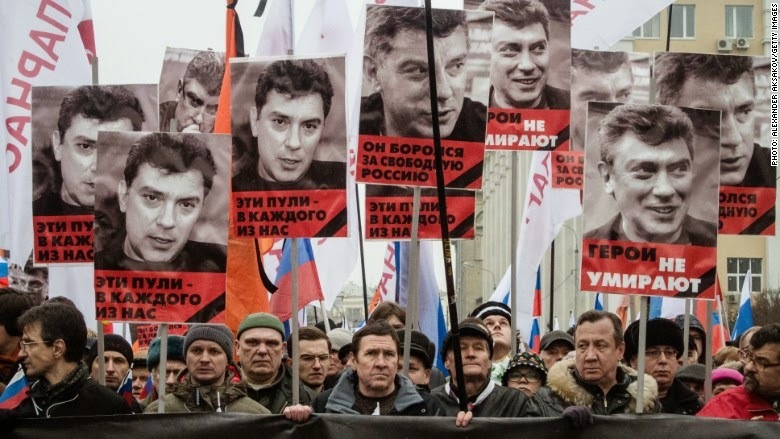 Nemtsov was Russia's former deputy prime minister and an outspoken Kremlin critic. His supporters blamed Vladimir Putin's regime for his death. The report was released on Tuesday, with 2,000 copies distributed to journalists and opposition leaders. Vsevolod Chagaev, one of the activists behind the publication, said the PayPal account was set up to crowdfund wider distribution of the report. "The day after the presentation, PayPal restricted my account and the payments started to fail, I went through identification procedure and the limit was removed," Chagaev said. "But the next day the account was entirely blocked," he added. PayPal then sent Chagaev an email, explaining his account was blocked because the service does not support political fundraising. However, PayPal does support fundraising. It has a special service specifically dedicated to accepting political donations. It even offers customizable "donate" buttons for fundraisers to put on websites. Additionally, PayPal also collects additional information from anyone who uses its system. Like any bank or money transferring business, PayPal abides by strict Anti-Money Laundering regulations. That's why, the company says, it demands "documentation to help prove your identity." That includes your name, address, phone number, email address and -- at times -- a bank account number and Social Security number too. PayPal also did not clarify why identifying donors in Russia was a difficult task. Russian law prohibits anonymous donations to political parties. It is also illegal for parties to accept donations from foreigners and foreign-owned organizations. "I have only one suggestion: Russian office of Paypal is afraid of the impact of the Russian government." This isn't the first time PayPal blocks rebellious political activism. In 2010, it famously shut off the ability for people to support Wikileaks, the rogue journalistic outfit that reveals government and corporate secrets (such as the killing of journalists by American soldiers in Iraq). In that case, PayPal froze the account of the German foundation accepting Wikileaks donations. Then last year, PayPal temporarily froze donations to ProtonMail, a startup that sought to create a secure, private email service in the wake of the NSA domestic surveillance scandal.